The Rail Supply Group (RSG) chose Primary Image, the leading UK rail industry web designers, to create their website. The newly formed body brings together the government and private sector companies to promote and grow the UK rail industry’s supply chain. 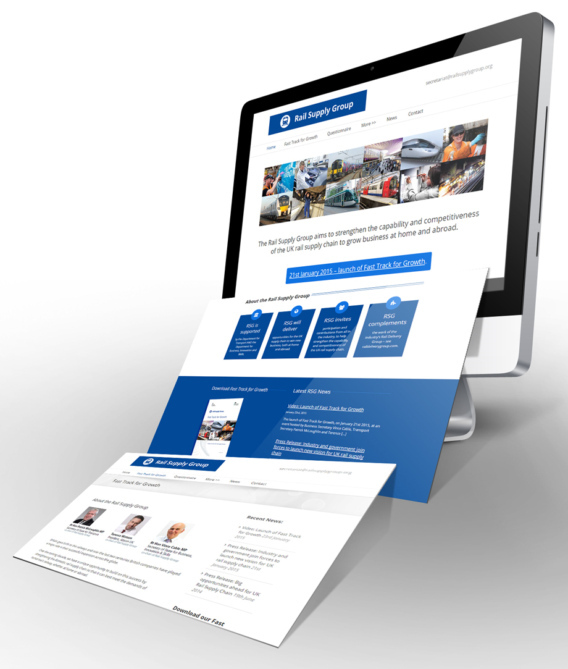 The website was launched in January 2015 at a high-profile event hosted by the Secretary of State for Transport, Patrick McLoughlin, and Business Secretary Vince Cable. Primary Image created a modern and stylish template for this web design project, which has a clean, uncluttered look that makes it easy for people to read and navigate. 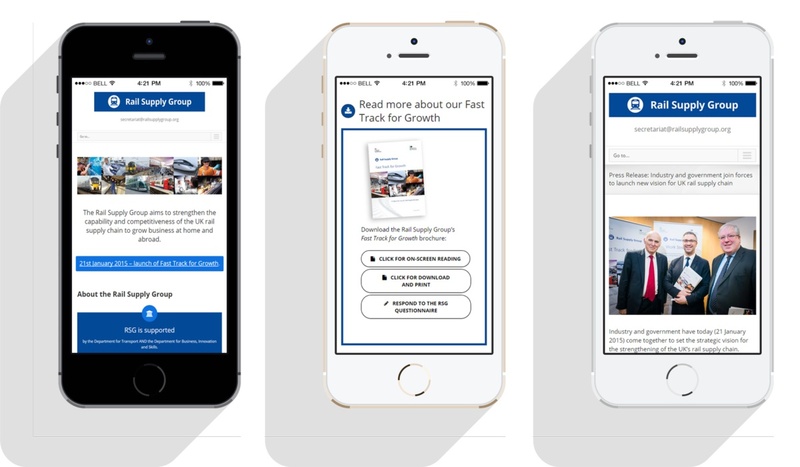 The home page was laid out with several distinct sections, including a quick introduction to the Rail Supply Group, then various pathways for downloading their brochure, reading the latest news releases and watching their video. The website is fully responsive, meaning it adjusts for easy viewing on smartphones and tablets. As with all our website designs, it went through our comprehensive testing checklist before launch, which we’ve developed from years of experience in making successful websites. Lots of small, subtle design features have been included in this web design. For instance, when the user scrolls down the page, the logo and navigation menu stay clinging to the top of the screen. Headings, buttons and other design elements have all been carefully styled. The News area also features an innovative timeline format, displaying the headlines along a continuous vertical line. The Rail Supply Group asked Primary Image to setup a questionnaire for the organisation to gather feedback from the rail industry. The data from this form is sent via email to the RSG, as well as saved into a spreadsheet file (for opening in Microsoft Excel or Google Sheets). 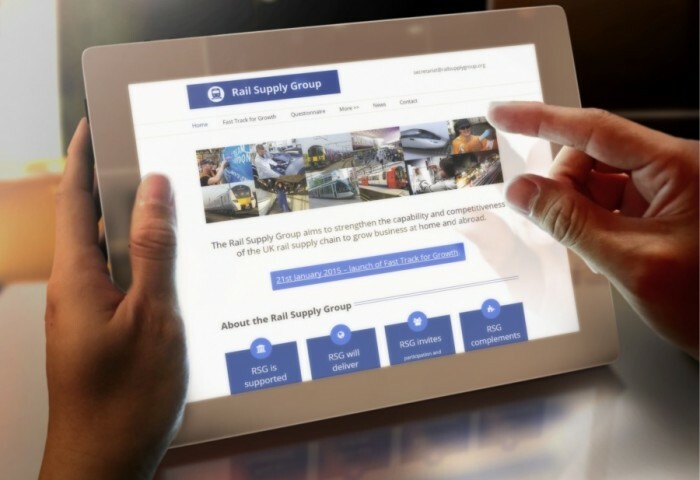 In the run-up to the Rail Supply Group’s launch event, we also designed a stylish holding page, which gave some basic background to the organisation prior to its formal unveiling to rail industry stakeholders. 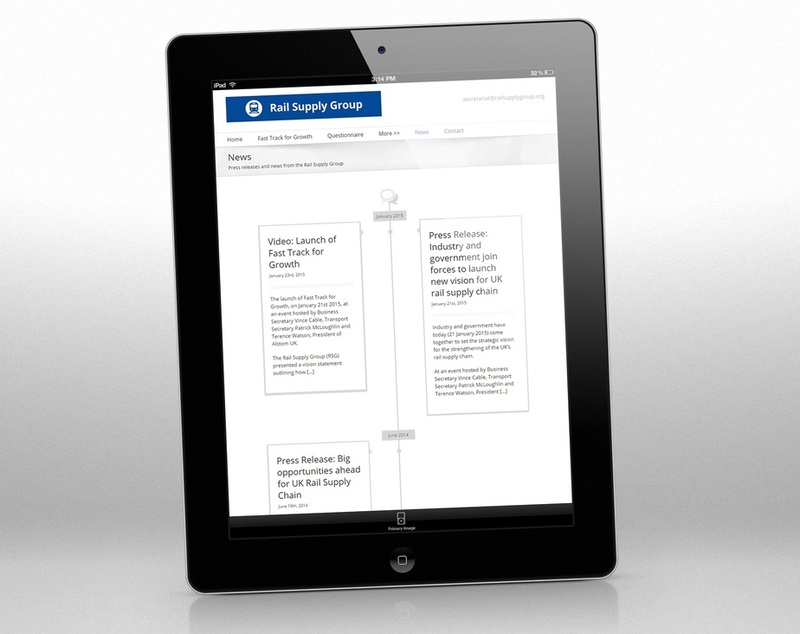 As well as the website, Primary Image created the corporate identity for the new Rail Supply Group. This was designed to be in the same pictogram format as the eleven existing government industry strategy workstreams (such as automotive, aerospace, etc). We’re the rail industry’s choice of web designers, having created websites for many companies and organisations, including RVEL, the Institution of Railway Operators, Young Rail Professionals, Association of Railway Executives, Railway Engineers’ Forum, JB Krystal, amongst many others. See our rail industry services page.